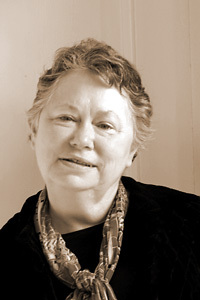 Susan Settlemyre Williams, Blackbird book review editor and associate literary editor, is the author of a chapbook, Possession (Finishing Line, 2007), and a collection of poems, Ashes in Midair, selected by Yusef Komunyakaa as the winner of the 2007 Many Mountains Moving Press Poetry Book Contest and published in 2008. Her poems have recently appeared or are forthcoming in the Mississippi Review, Shenandoah, 42opus, Sycamore Review, The Marlboro Review, and other journals. One of her poems won the 2006 Diner poetry contest and was selected for Best New Poets 2006 (Samovar, 2006). She is a member of the National Book Critics Circle.